Bay of Plenty Champion Brandon Crowley. 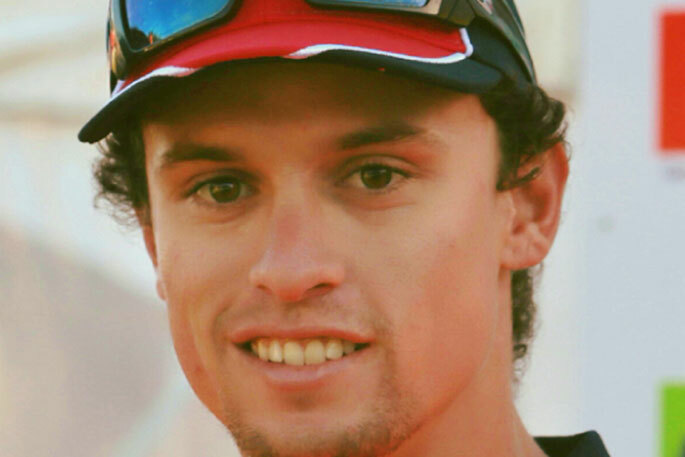 Whakatane man Brandon Crowley will don his hard hat and climb into the cab of a 12-tonne digger next week when he represents Bay of Plenty at the National Excavator Operator Competition in Feilding. Brandon is one of 10 regional champions from around New Zealand who will test their excavator skills at a series of entertaining and highly challenging tasks that won’t be revealed until competition day. In the past these have ranged from tests of ‘real-world’ skills such as traversing a trench or lifting and relocating a manhole cover, to crowd-pleasing tests of precision such as uncorking a champagne bottle using an excavator bucket’s teeth or slam dunking a basketball into a two-storey concrete pipe. “This will be my fourth time at the competition – I’ve competed three times and my dad won the regional competition and went to the nationals last year,” says Brandon. The finals event will take place on 15-16 March during the Central Districts Field Days at Manfeild Park. This year marks the 25th anniversary of the annual competition, which is organised by Civil Contractors New Zealand to raise awareness of the skill involved in excavator operation and the rewarding careers available in civil construction. Brandon qualified for the event by winning the Bay of Plenty regional excavator operator competition at Mystery Creek, near Hamilton, during last year’s National Agricultural Fieldays. An excavator in action during the 2018 National Excavator Operator Competition. The Crowley Excavators employee will now drive a Hitachi Zaxis 120 excavator in front of the thousands of people attending the Central Districts Field Days as he battles for the title of New Zealand’s best multi-skilled excavator operator. Civil Contractors New Zealand Chief Executive Peter Silcock says the competition’s mix of skill, entertainment and high-tech machinery had become a highlight for the industry. While some of the tasks performed by competitors were primarily about fun and delighting the crowd, they showcased the level of precision top operators required to excel in their daily work, whether they were navigating drain pipes, gas pipes or electricity cables. The civil construction and maintenance industry carries out more than $12 billion of work annually, employing 60,000 workers including excavator operators. Operators are involved in many of New Zealand’s most significant projects, ranging from construction of roads and highways to laying the groundwork for new buildings, parks, water and sewerage projects. The Platinum Sponsor for this year’s National Excavator Operator Competition is CablePrice, which provides and services the excavators the competitors operate during the event. Other major competition sponsors include Attach2, BeforeUDig, CivilShare, Civil Trades, Contractor Magazine, Connexis ITO, Digga NZ, Doug the Digger, FirstGas, Hirepool, Humes, and Z Energy. 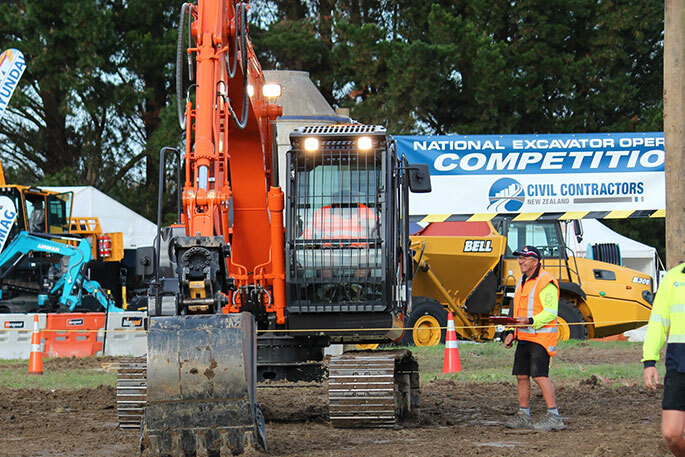 In addition to the competition, Civil Contractors New Zealand will host a mini-digger experience, giving children over the age of two the chance to drive a 1.7 tonne Hitachi excavator with the help of a supervisor. A digital excavator simulator will also be on site at the EPIC Careers in Infrastructure job marquee to give visiting school students and other members of the public a chance to test their own excavator skills. Good luck with the challenge Brandon.